This is a pretty brief review as there’s honestly not that much to say – it’s OK. This is a new launch for Summer 2017 and is a very simple 90s throwback that has a much fancier-sounding fragrance pyramid than it actually presents. Accoding to Tommy Hilfiger there’s top notes of golden mandarin, Italian lemon, marine accord and mint; a heart heart of cypress, eucalyptus, lavandin, sage, orange blossom and finally a base of warm musk, lentisque abs, pistachio wood, incense, amber. In all honesty, it’s lavender, mint, a little cyprus and white woods. It’s very, very pleasant indeed and is a great holiday fragrance as it’s easy to wear and hugely inoffensive. This isn’t going to come close to many fresh summer fragrances, but when you consider the £22.99 price tag for 100ml, it’s a real no-brainer. I can see this understandably performing really well in Duty Free halls this year both as a self-buy and for gift giving. 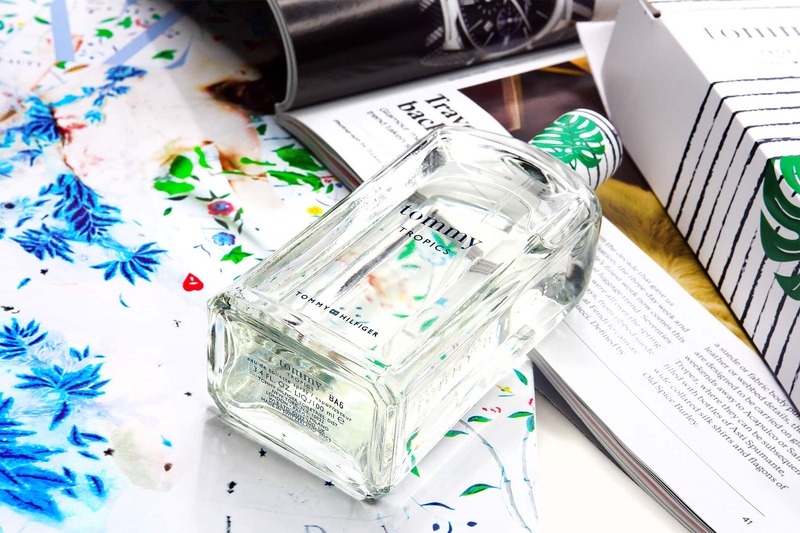 Tommy Tropics by Tommy Hilfiger is £22.99/100ml here from The Perfume Shop. This article first appeared on MANFACE written by Thom Watson. It was published on Sunday 16th April 2017 and was last updated on Sunday 16th April 2017 at 10:05pm. It's categorised under Citrus Fragrance, Tommy Hilfiger where you'll find more related content.